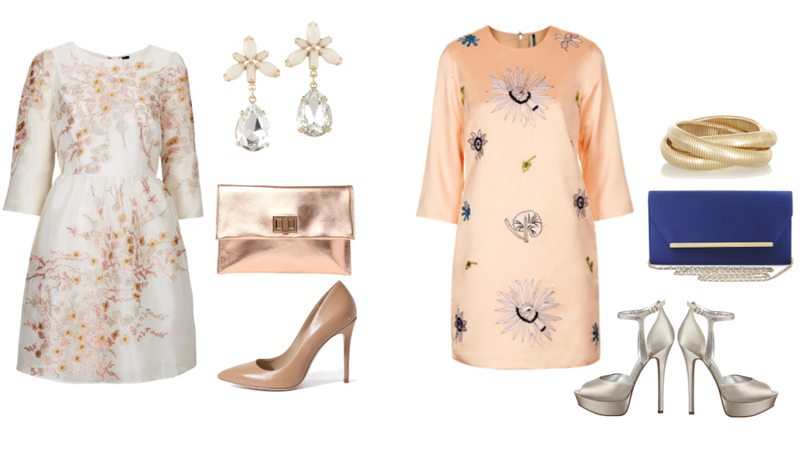 The Fashion Guide Blog : Dresses to wear to a wedding. Spring is already here and the wedding season has started. If you've been invited to one or maybe two of these marvelous events, you might be searching for the right dress. Long, short, asymmetric, sleeveless, cut-out, jumpsuit, etc. Finding the right one can be a real challenge but I'm here to help you out and to give you some amazing affordable ideas. One important thing: don't forget what's better for your body type. Some girls ask me if there's a protocol to follow. My answer is always the same: "ask the bride and the groom". One of the latest trends is wearing a tuxedo but only for evening weddings (check out our Facebook page). The only restrictions could be wearing hats at night as they're reserved for day time weddings, and wearing white because that colour is exclusively for the bride. Apart from that just bear in mind that church wedding and a beach wedding are worlds apart. But, whatever you decide yo wear, you should never outshine the bride! Check out these looks I've created for you. 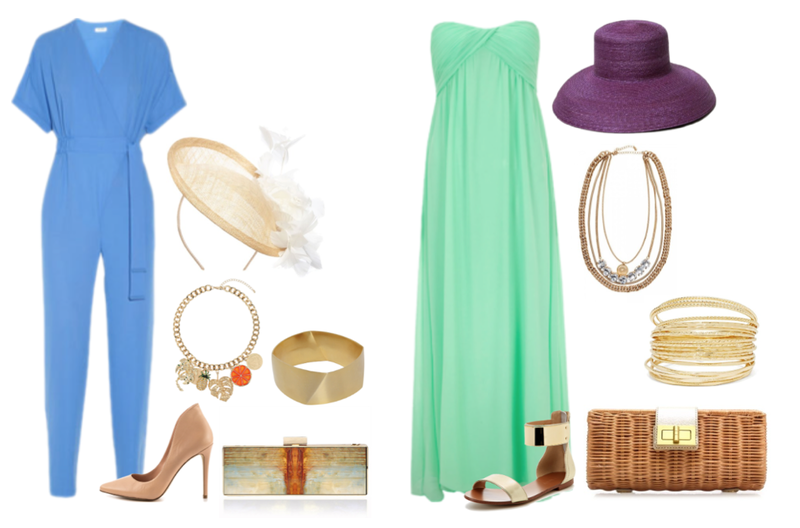 LEFT: Dress, Karen Millen. Shoes, Heels.com. Clutch, Necessaryclothing.com. Bracelet, Juicy Couture. 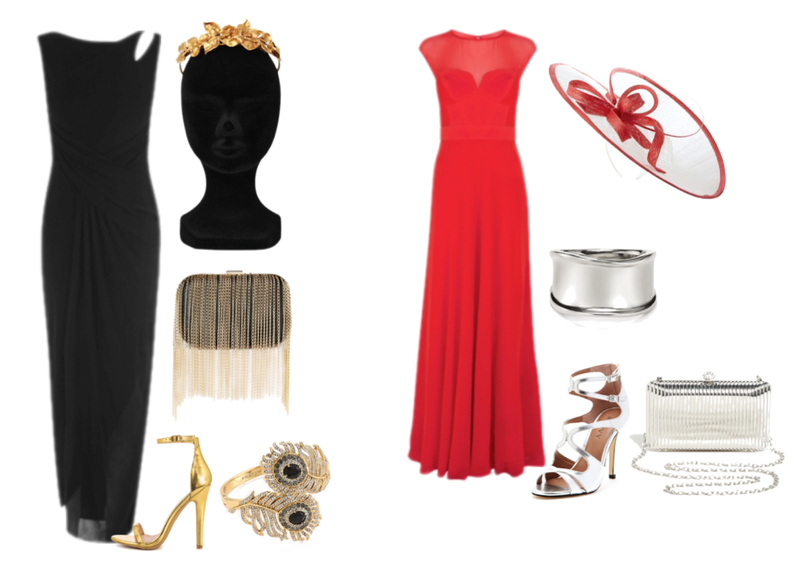 Head piece, 24Fab.com - RIGHT: Dress, Karen Millen. Shoes, Gilt.com. Cuff, Robert Lee Morris. Hat, House of Fraser. Clutch, Nordstrom.com. LEFT: Dress, Karen Millen. Shoes, Betsey Johnson. Head piece, Debenhams. Bag, Guess by Marciano - RIGHT: Dress, Hervé Léger. Shoes, Topshop. Clutch, Debenhams. Head piece, Boticca.com. Cuff, Sole Society. LEFT: Dress, Topshop. Earings, Aldo. Clutch, Selfridges. 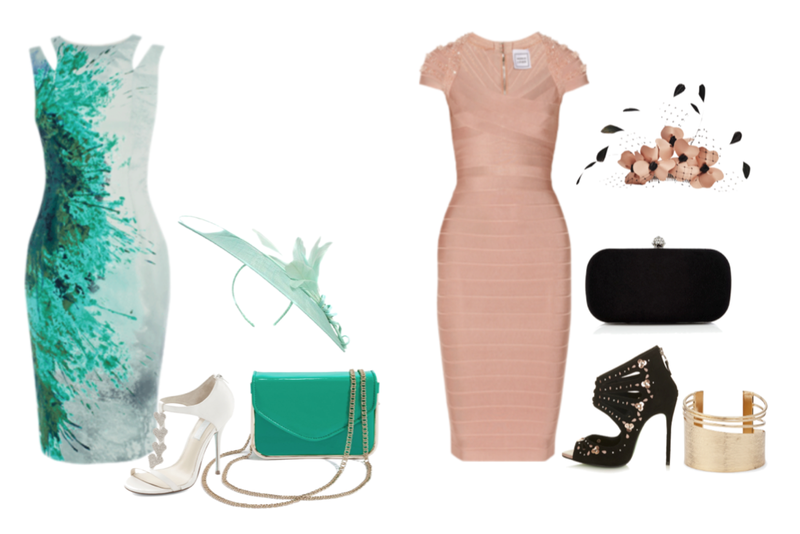 Heels, Guess by Marciano - RIGHT: Dress, Topshop. Shoes, Nine West. Clutch, BCBGMaxazria. Bracelet, Kenneth Jay Lane. LEFT: Jumpsuit, Kenzo. Head piece & bracelet, House of Fraser. Shoes, Heels.com. Necklace, Topshop. Clutch, Etsy.com - RIGHT: Dress, Dorothy Perkins. Sandals, Gilt.com. Necklace, H&M. Bangles, Nastygal. Clutch, J. Crew.